Emerald Park Holiday Farm is a working farm with four self-contained units that can sleep up to six guests each. Guests can enjoy animal feeding, egg collecting, and brushing and feeding of ponies done daily whilst on a farm stay. Emerald Park Holiday Farm is ideal for a farm stay and for groups or families that want to get away together and have fun. Make use of the farm’s facilities including outdoor barbecue; collect firewood and have a fire drum to stand around and toast marsh-mellows. The kids will enjoy the adventure playground and fairy garden, close to the units so you can relax and keep an eye on them having fun. The kids will also be able to help with animal feeding. The farm is situated in the beautiful Jamieson Valley, with the river flowing through it, great for fishing and swimming in summer. Beautiful views of surrounding hills, perfect for bush walking, bird and wildlife spotting, with many species coming right into the property. 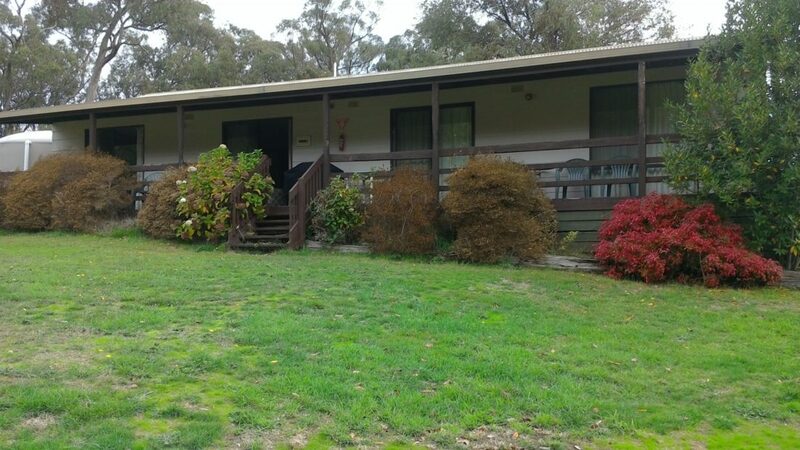 Close to historic towns, vineyards, Lake Eildon and Mt Buller snow fields. Walking distance to Jamieson is two and half kilometres where you will find a cafe, shop, hotel, restaurant , gallery and museum. Emerald Park Holiday Farm is a working farm with four self-contained units that can sleep up to six guests each. Each cabin has two rooms and one bathroom.